Jim Storch (Burnout Warcry) and Beethoven (the composer) have the same birthday, so for their birthday, on December 16th, there was a big show at the Mr. Roboto Project on Penn Avenue. 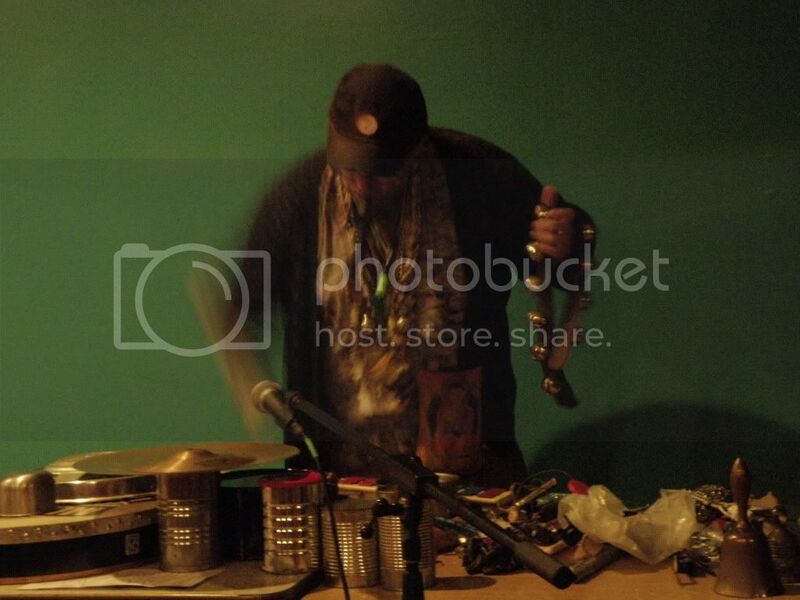 First up was the always mysterious Ken Kaminski and a very robotic drummer (he may have been an android). They were like avant-noise jazz or something. It was definitely awesome and should probably happen more. 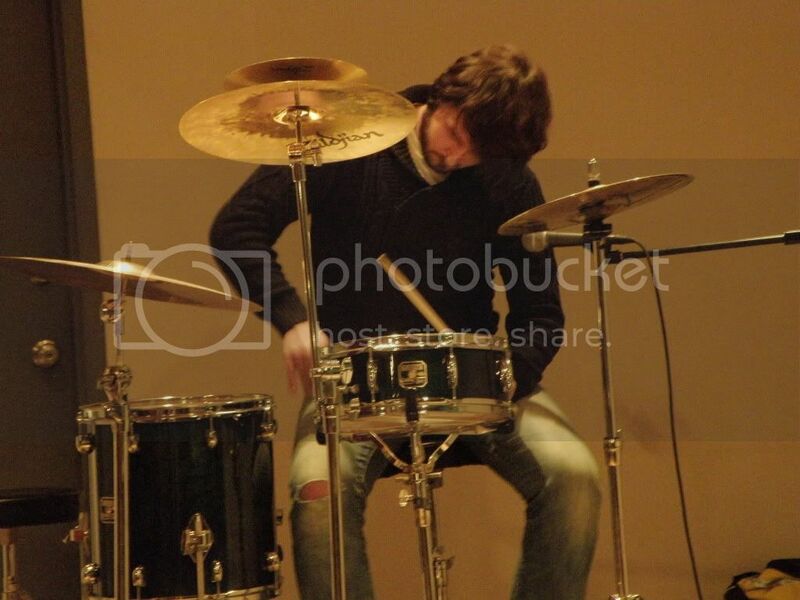 The drummer was hitting hard almost the whole time, but there were a lot of quieter parts too; dynamics are cool. A soundtrack to a no-wave apartment. Second Brad Kline joined Burnout Warcry for a set similar to the last, but this time completely percussive. Brad and Jim were really free-form and uneven with sharp cymbal hits going off all the time. It was really nerve-wracking, but pretty cool. Next Mousy Razor (possibly now Mouth Eraser? 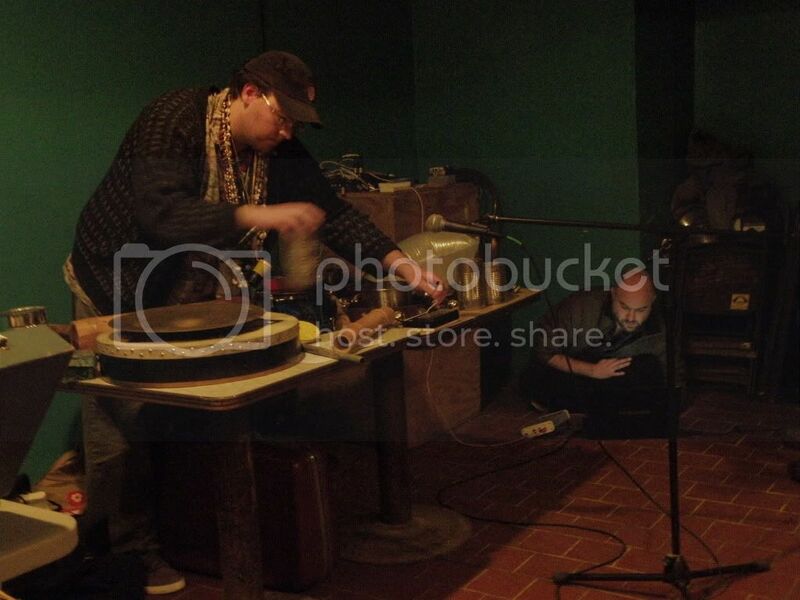 ), consisting of RJ Myato, Greg Kolls, Sasha, and myself, played a killer noise/rock set. We sounded a lot like early Sonic Youth or possibly the Melvins. RJ and Sasha screamed a lot, but there were otherwise no vocals. This was probably the most fun I have ever had playing a show. Super Collaborator Bros. Burnout Warcry and Matt Wellins teamed up again and played a really spooky piece. 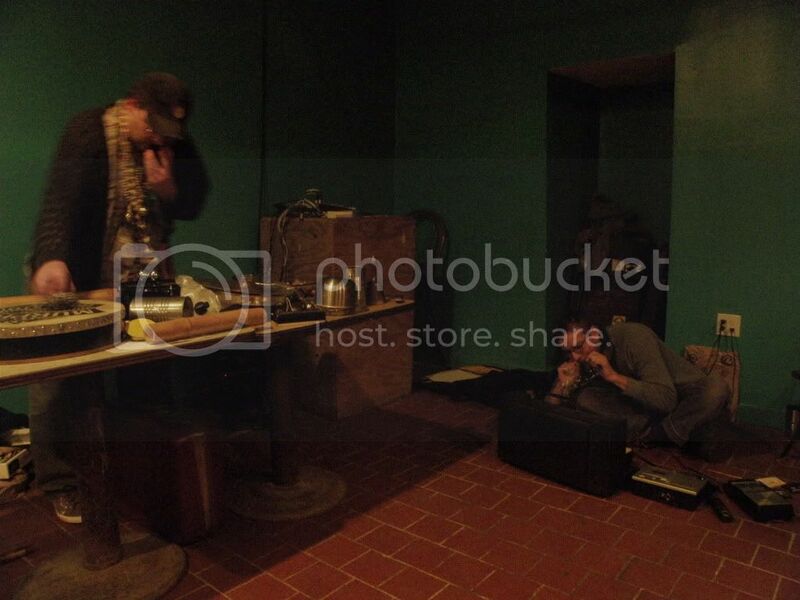 Jim did his standard stuff, but more contained and quiet while Matt played samples. There were Native American sounding chants, crazy sped up horns, water sloshing sounds, tribal drums, and possibly some other things. They built up a lot of tension towards the end with endless drum rounds from Jim and a long running sound-scape from Matt. Things calmed down at the end; really cool stuff. 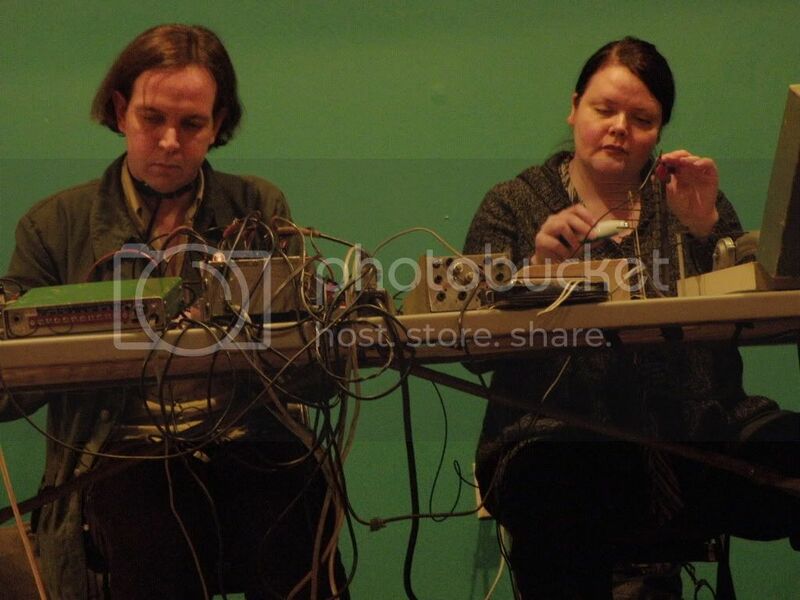 Michael Johnsen and Margaret Cox were the final non-Burnout Warcry set. They filled the air with the sounds of small objects and hidden things. There were a lot of buzzing, hissing, and squirming and also sounds from tiny springs. Some things sounded like dental equipment. It was impressive, but I feel like they shouldn't have played for over 30 minutes. The show ended with Ian Bonnet's tapes and Jim's crazy assortment of semi-musical devices. 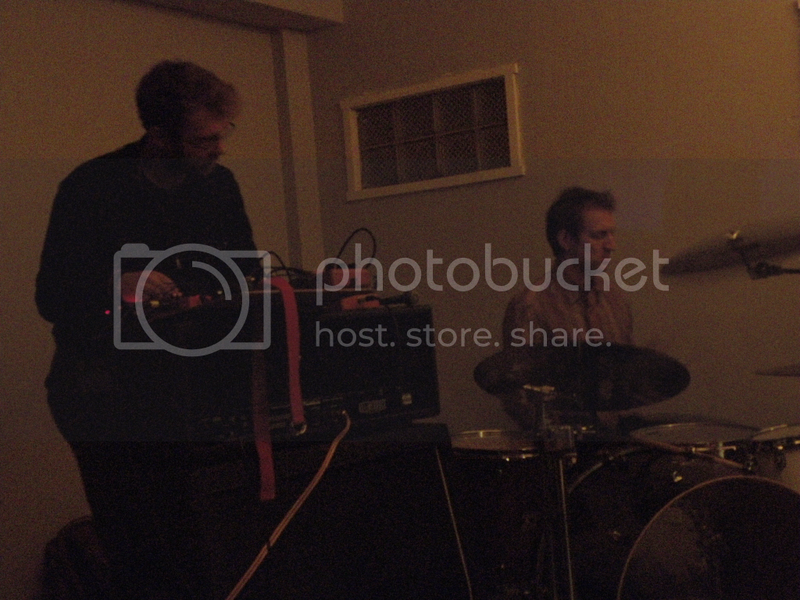 This was probably the quietest set and they only got to play for 8 minutes before the Roboto Project had to close. They were like a library or classroom or a still life. This show was a lot of fun. I'd love to do something like this again with some bands, some noise, and some more quiet stuff. Happy Birthday to Jim and Greg! Here's Mousy Razor and Ken Kaminski.